During January, Claire and I will be running some classes to get the kids stitching, sewing and creating. If you are in Perth you can email me at tiedwitharibbon@gmail.com to book places for your children. This class is not suitable for an "absolute beginner"
chance to play with fabric, felt, buttons & embellishments. Ages 10+. 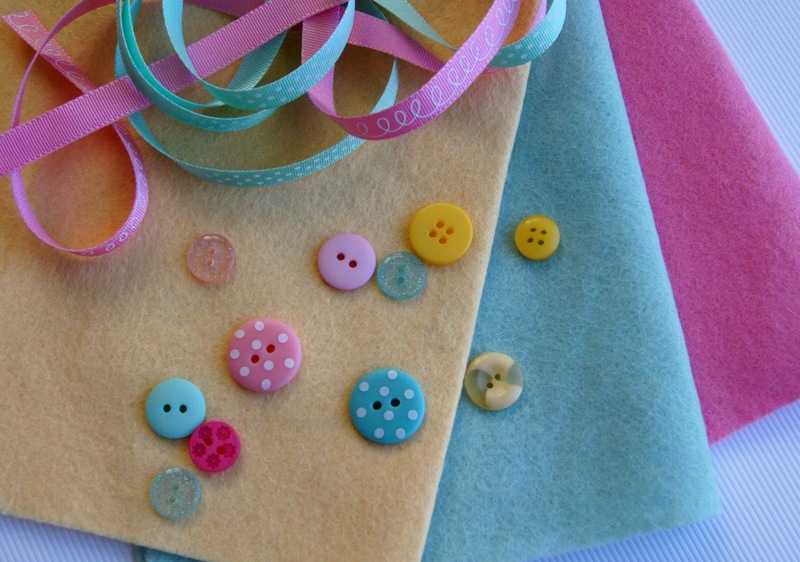 Introducing basic machine sewing skills as well as hand sewing skills. Appearing in the Habitat Section of today's The West Australian are my Christmas Gift Tags. Now into December, the trees are starting to go up and with that means that presents will be wrapped and placed under the tree awaiting Christmas day. 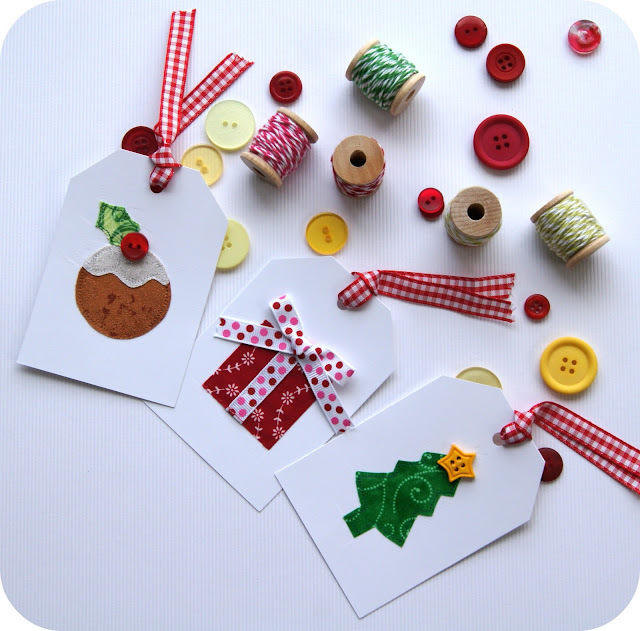 Here are some gift tags you can quickly make using small fabric scraps, ribbons and some buttons. 1. Cut out the card to make a 10.5cm x 7.5cm rectangle. Punch a hole in the top and cut of the top corners 2cm down from the top. 2. 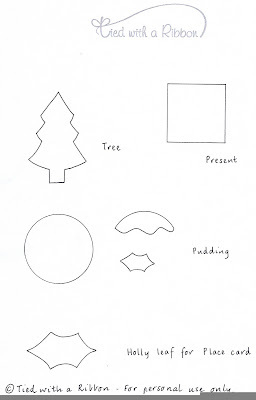 Trace the Pudding onto brown fabric, the sauce onto white fabric and the holly leaf onto green fabric and cut out. 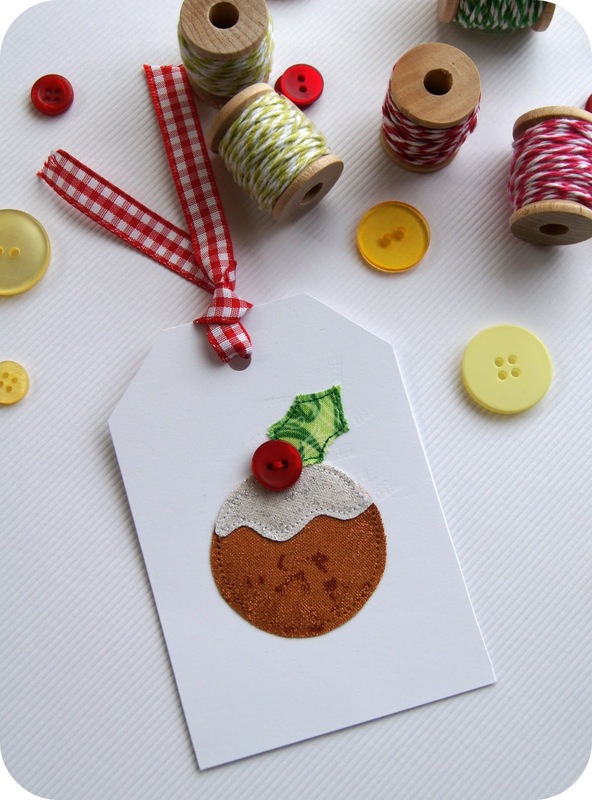 Place the pudding in the centre of the tag and using a small stitch on your sewing machine (1.5), sew around the outside of the Pudding. Place the sauce on the top and sew around the outside of it. Place the holly leaf into position and sew around the outside. 3. 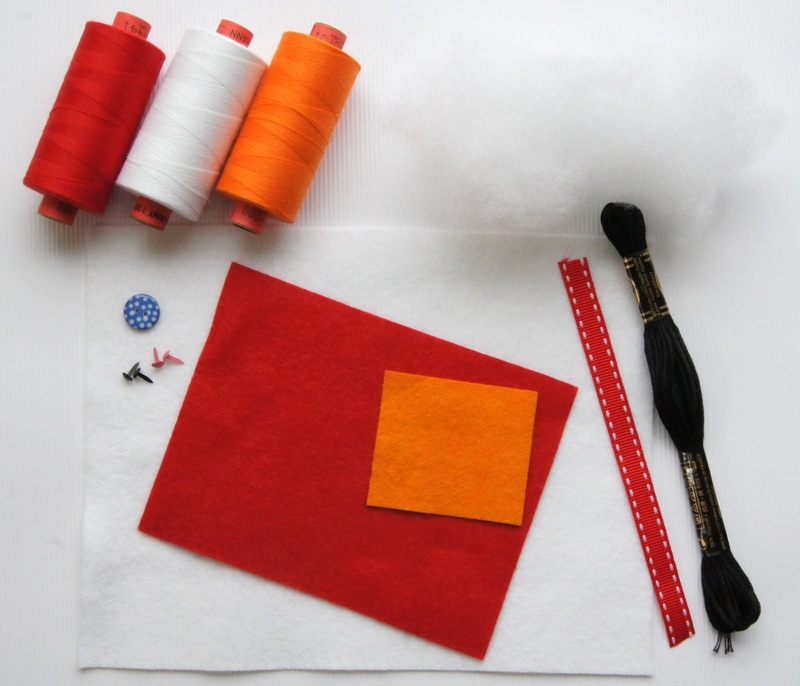 Place your red button into position and sew into place. 4. Tie your red ribbon through the hole in the top. 2. Trace the Christmas tree onto green fabric and cut out. 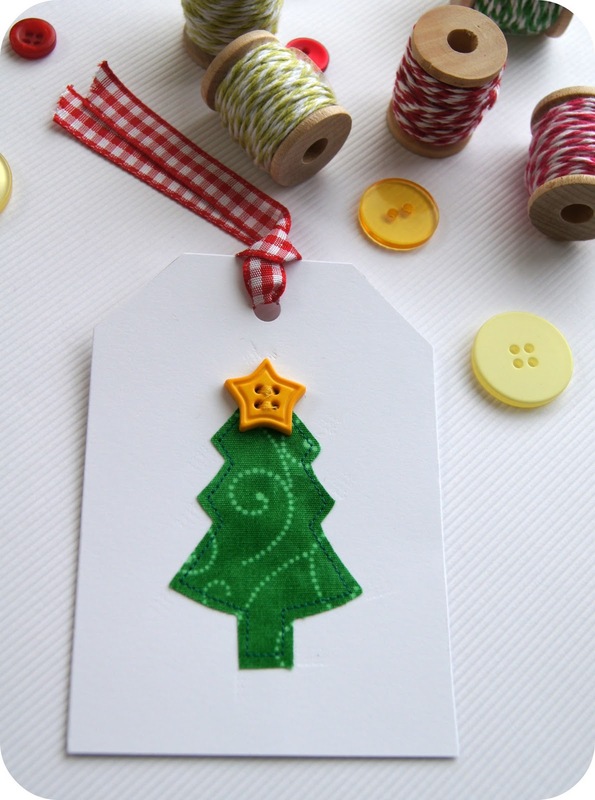 Place the Christmas tree in the centre of the tag and using a small stitch on your sewing machine (1.5), sew around the outside of the Christmas Tree. 3. 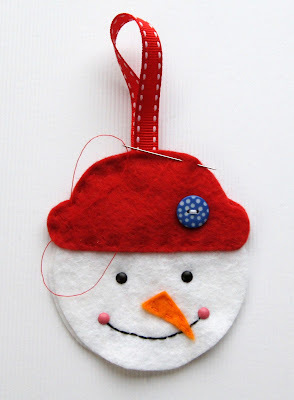 Place your star button into position and sew into place. 4. Tie your ribbon through the hole in the top. 2. 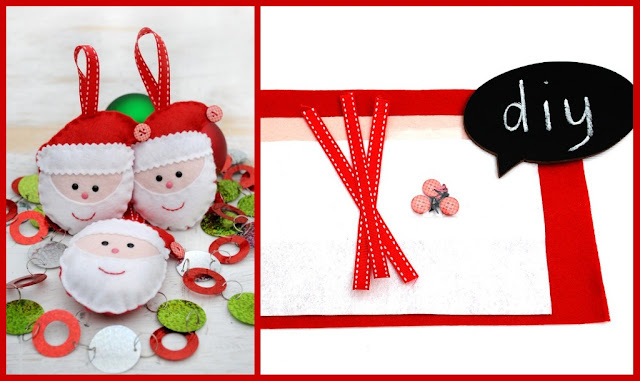 Trace the present onto red fabric and cut out. 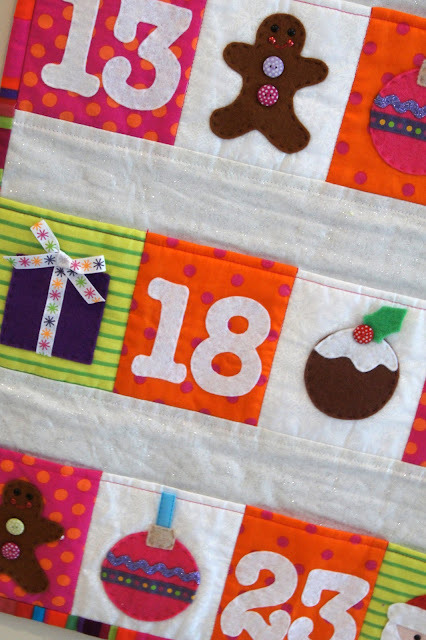 Place a piece of the patterned ribbon down the centre of the present and sew into place. 3. 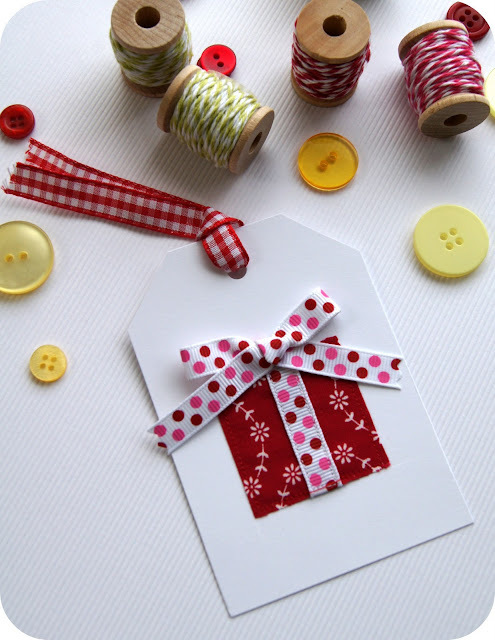 Place the present in the centre of the tag and using a small stitch on your sewing machine (1.5), sew around the outside of the present. 4. 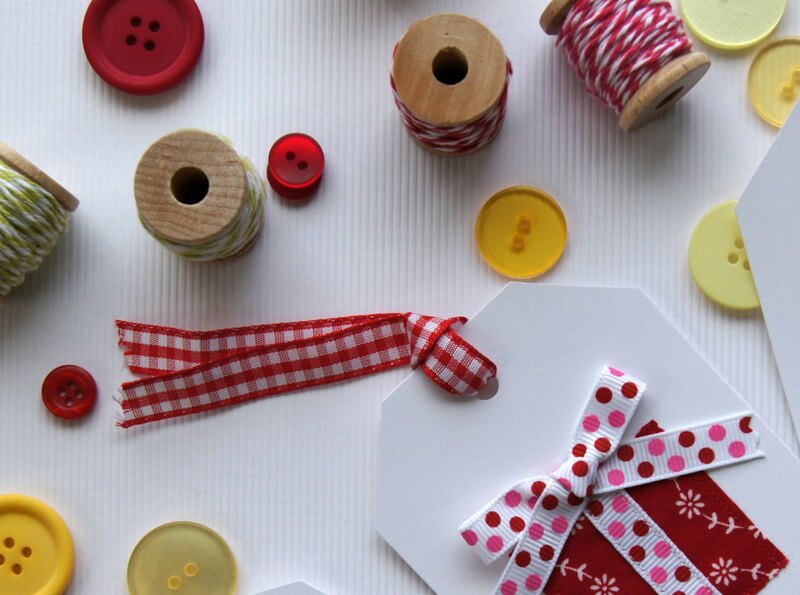 Make a bow with the patterned ribbon and glue into position on top of your present. 5. Tie your red ribbon through the hole in the top. Some secret projects - shhh! There is lots going on behind closed doors here at the moment. Just some teasing sneak peaks for you for some things that I can't reveal just yet! 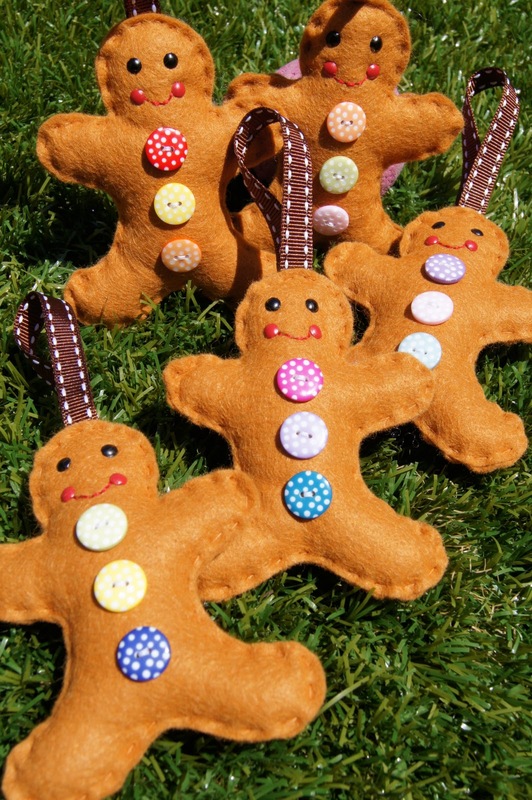 But here is a pic I can show you - these cuties - all ready for Perth Upmarket - Sunday November 27th at UWA. And of course if you can't make it I have some all ready here in my Etsy Shop﻿. If you are a reader of my Facebook Page then you will know that this week has been a BIG week for me - lots of exciting things have happened with the highlight definately being my felt Snowmen on the cover of Tickle the Imagination. 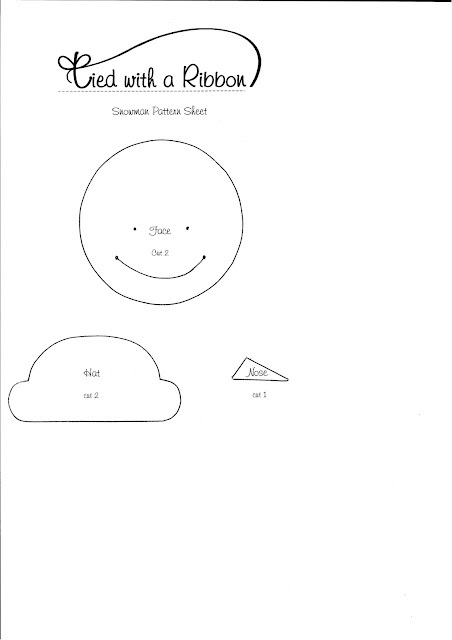 They are also included as a tutorial inside the e-magazine. On a personal level - my eldest daughter won the Junior Girl Champion at the Inter School Athletics Carnival so there has been alot of celebrating going on in this household. 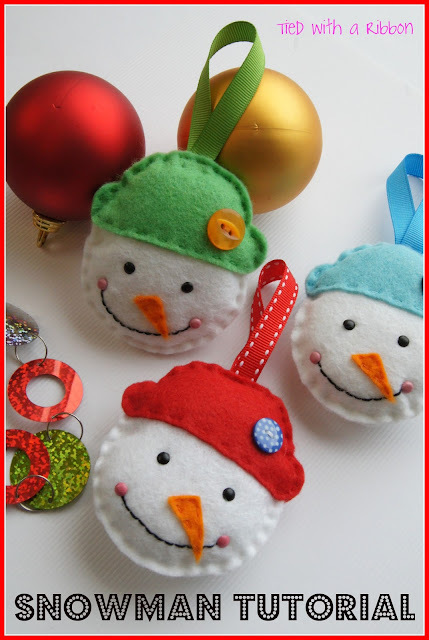 I wanted to share with you on my Blog the tutorial for my Snowmen so here it is - would love for you to share your photos on my Facebook page if you make any. 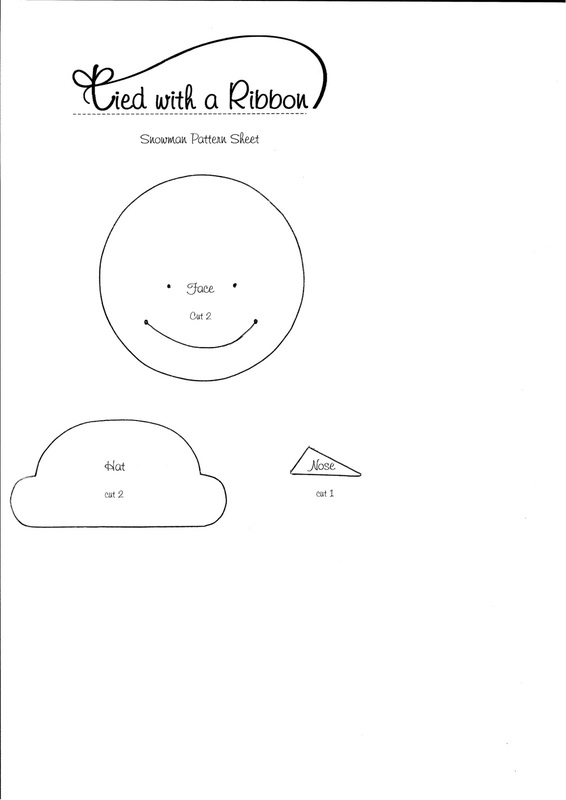 Step 1 - Print and cut out paper pattern and pin onto felt. Cut 2 Faces from the white felt. Cut 2 Hats from the red felt and cut 1 Nose from the orange felt. Step 2 - Using a pencil mark the position of the eyes and mouth. Push through black Brads for the eyes. Using the black embroidery thread Back stitch the mouth and then push through pink Brads into the corner of his smile. 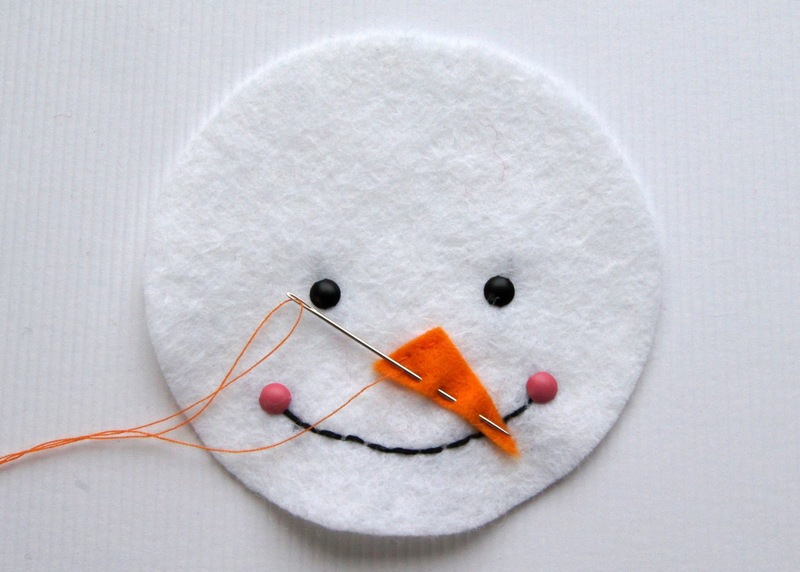 Step 3 - Using the orange cotton thread sew on the Snowman’s nose using a Running stitch. Step 4 - Using the red cotton thread sew the Snowman’s hat into position along the bottom of the hat only using a Running stitch. 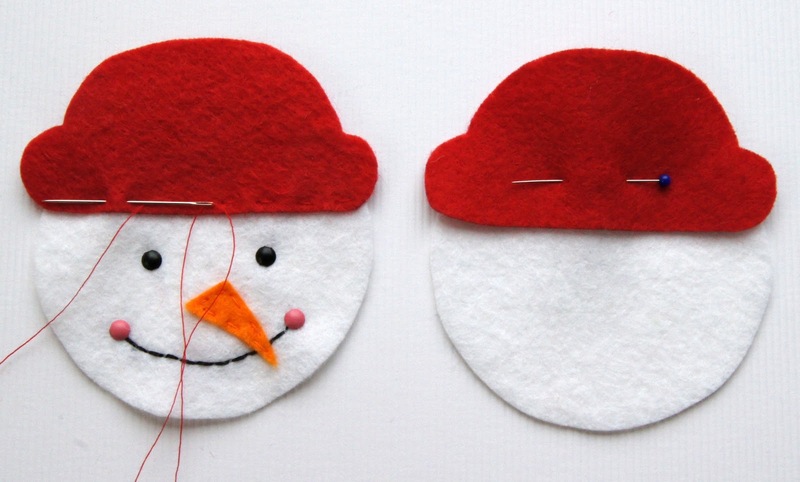 Step 5 - Repeat for the back of the Snowman. 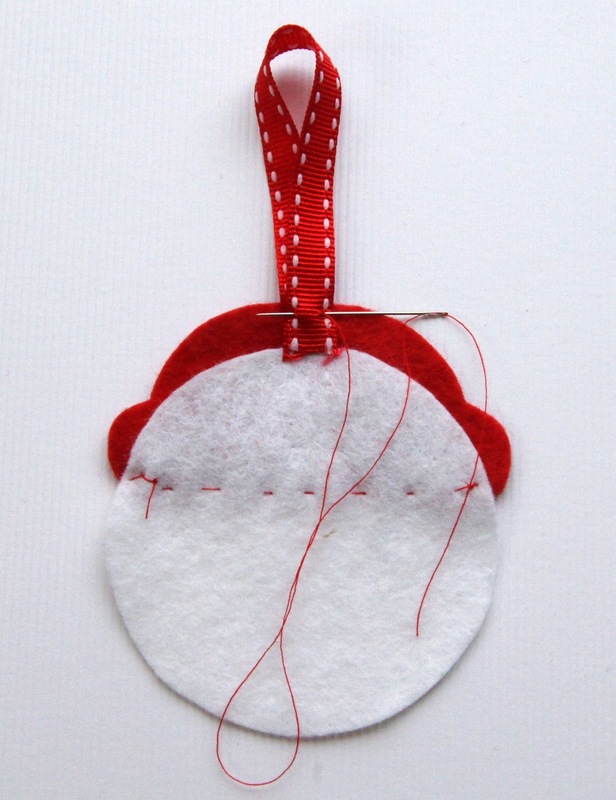 Step 6 - Fold the ribbon in half and sew it into position in the middle of the Snowman back piece. 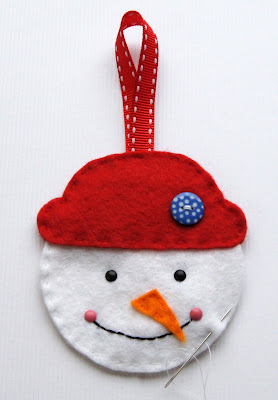 Step 7 - place your Snowman front and Snowman back together with the right sides facing outwards. 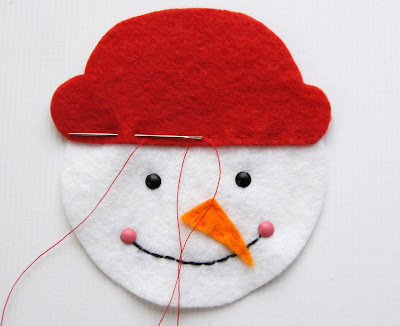 Using red cotton thread sew around the top of your Snowman’s Hat through both layers using a Running stitch. Step 8 - Using white cotton thread sew around your Snowman’s Face through both layers using a Running stitch. 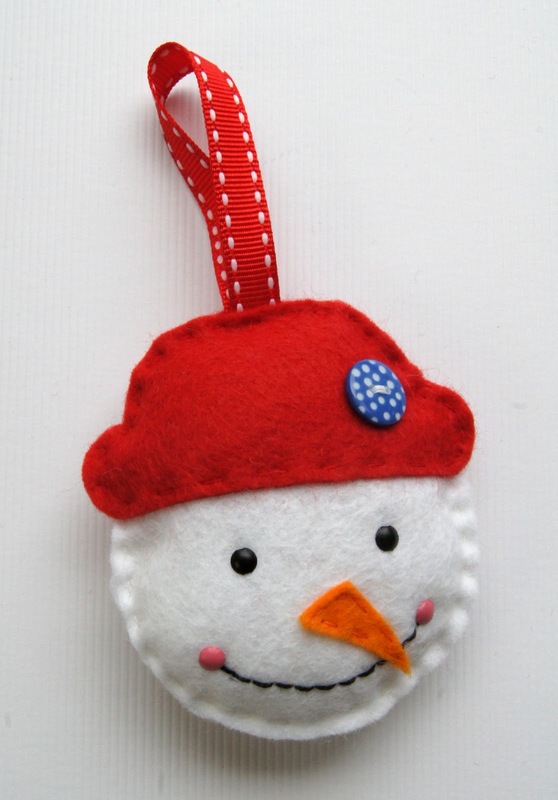 Stop about 2cm before the Hat and stuff your Snowman with your Toy filling. Step 9 - Stitch your Snowman closed. 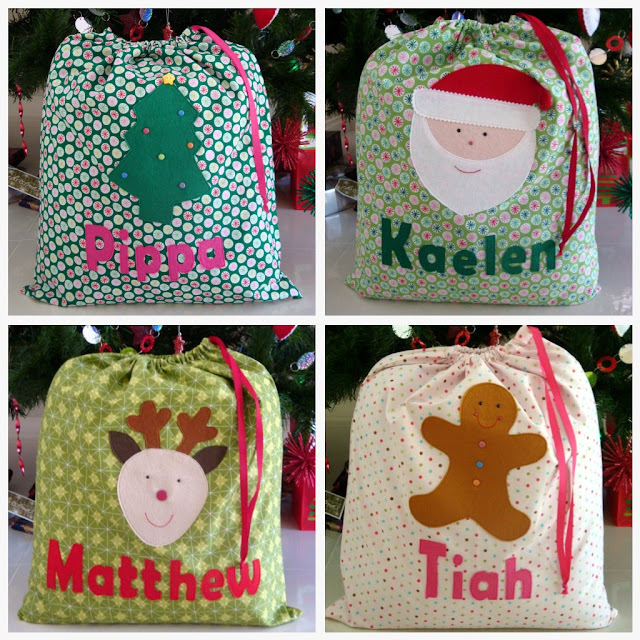 Would love to hear your thoughts on my tutorial and I hope these will keep you busy in the lead up to Christmas. 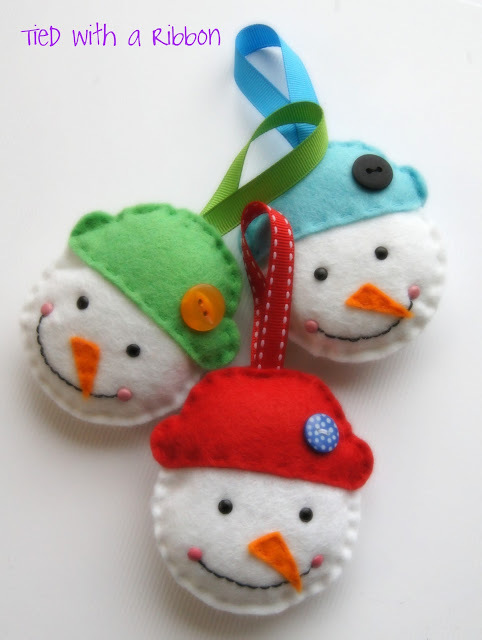 NOTE : These Snowmen are intended as decorations only. They are not a toy or suitable for children under 3 years due to small parts. Tutorial not for commercial use! Well I promised I would be back in 2 weeks with a progress report on the unfinished projects from my last post. In hind sight setting deadlines over the school holiday break is probably not the wisest idea ever as every time I wanted to get close to my sewing room there were two little girls cutting, sewing and crafting up a storm ALL OVER the floor in my Sewing room. But I am more than happy that my projects were put aside for a growing love for textiles and sewing by my girls. 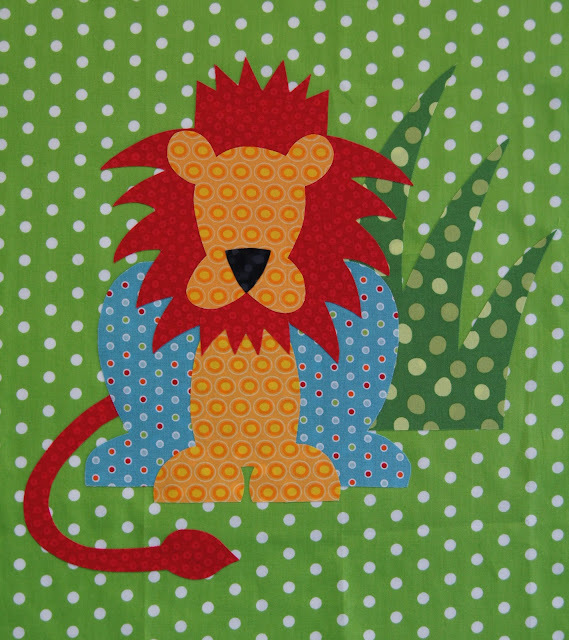 My Jazzy Jungle quilt - I have finished hand sewing all the animal blocks and now I just have to put it all together. There has been some progress on my Disappearing nine patch quilt. All the blocks have been cut out and re sewn and I have several rows together now. I am loving how this is starting to come together. 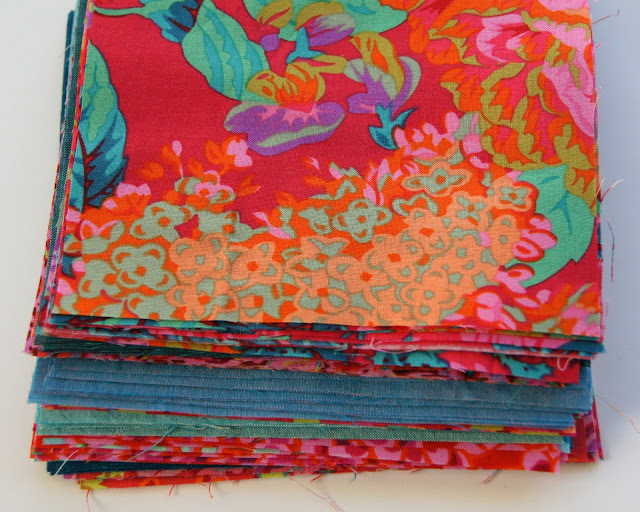 There are so many different ways to do this design but I am glad that I chose plains to go with the striking red Kaffe fabrics. 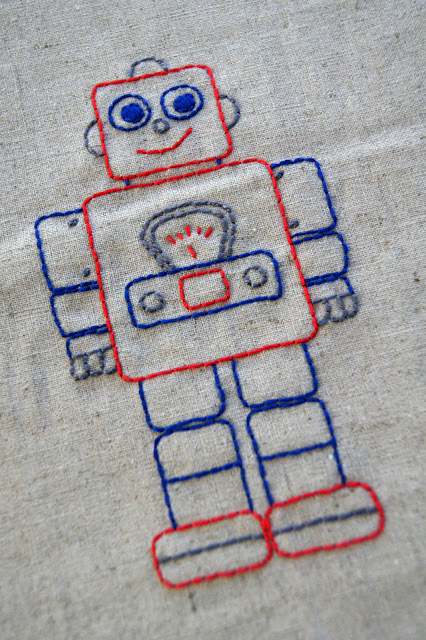 There sadly has been no progress on the Robot Canvas or on the quilt for my daughter. 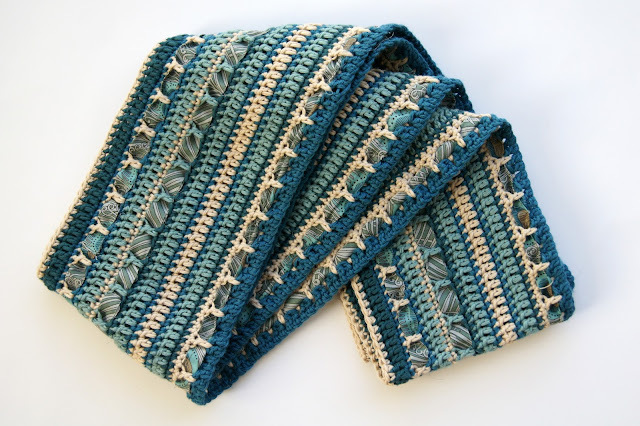 I have finished one more square on my crochet blanket. But we had a fabulous holiday break. Yes still here - if a post was written for every time I thought that I must go and post at my Blog - then you would get tired of my posting! I don't think I have ever had as much going on with my Family and trying to juggle a business at the same time. My girls have really needed my focus lately and that has meant that things like blogging have had to go on the back burner. 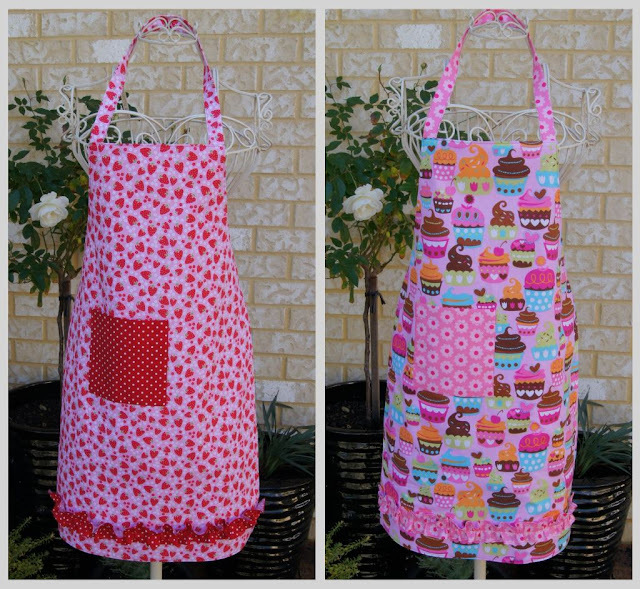 I have been sewing lots of Aprons all ready for Perth Upmarket on October 2nd. 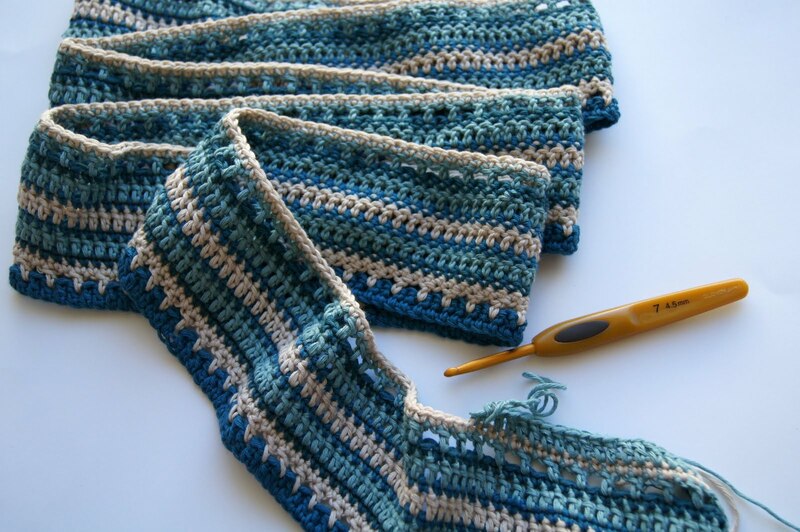 I have gone to a short course on Crochet down at Calico and Ivy. Mostly I learnt about all the things I was doing wrong with my Crochet and now here is the start of a Scarf that hopefully will be ready for next Winter. I am going to thread Liberty Tana lawn through this and I am so in love with the colours from peacock feathers that they were my inspiration for the colour theme of the scarf! I have also put the finishing touches on my Smiling Santas Felt Kits - these will go into my Etsy shop hopefully in the next day or two. Lots of people last year asked if these ready made Santas were available in a kit and well now, in time for this Christmas they are all ready to go. Lots of work has been going on recently "Behind the scenes". 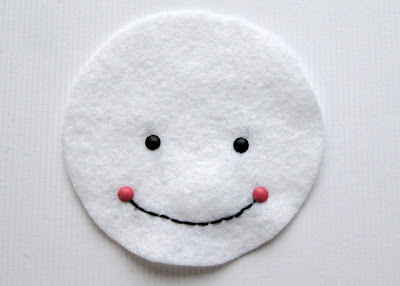 I have been designing some new items and of course the easy party is almost in designing them. Then comes a list of things to do to get the items ready for Market. I have been working with some fabulous women lately to help me achieve this and I truly believe that if you surround yourself with supportive and creative people the results speak ten fold. This is the lovely Sheena from Sheena Cooke Photography. She has been helping with the new cover shots for my new Felt Kits. You will see in the picture what the new kit will be - Smiling Santas and these will be ready shortly. Once they are ready to go I will reveal the cover shot which I am so pleased with. The gorgeous model in this next shot is Lisa Walsh. 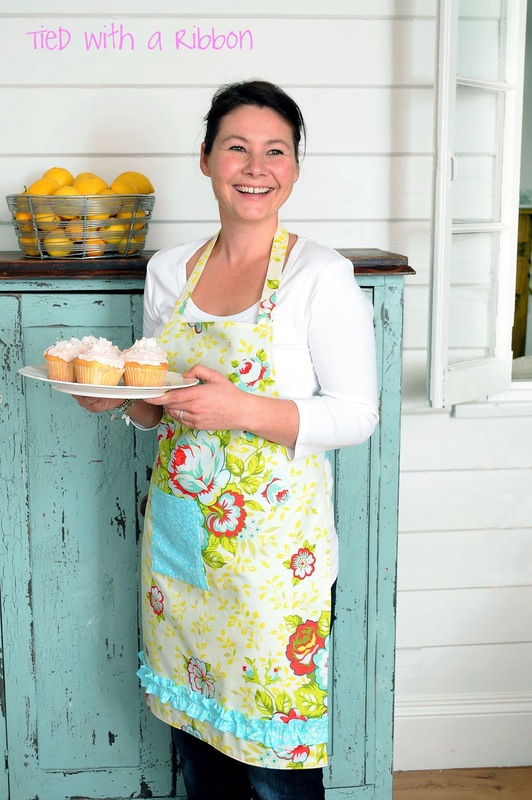 She is the face behind many wonderful ventures - Cookie Dough, Cream Butter & Sugar and The Market Mill. How one lady can be so talented in so many different areas seems just a little unfair (LOL!). Cant wait to share all these finished projects with you soon. 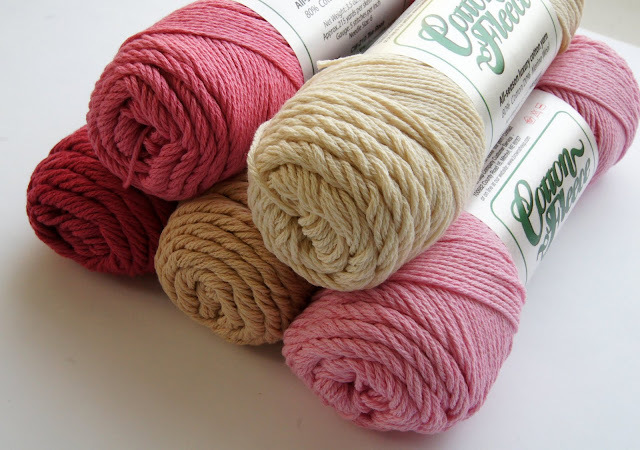 I have had a new little obsession lately and it all started with this blog In Colour Order. Putting colour together has always been a struggle of mine. 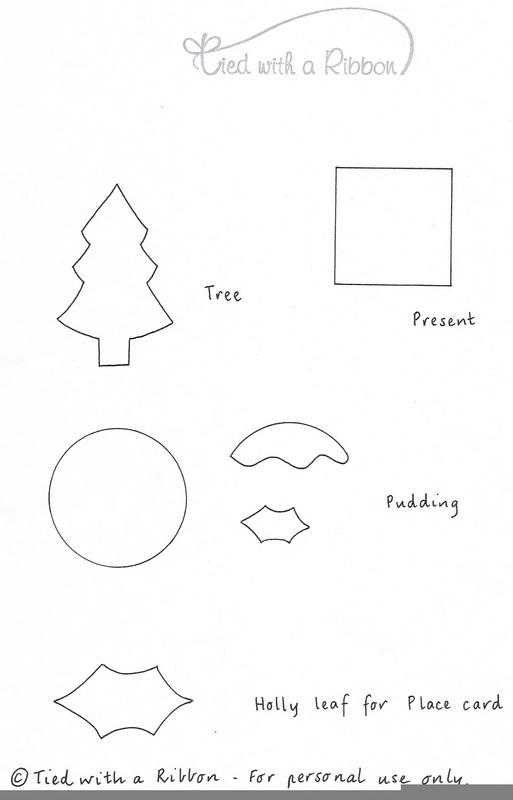 I draw quite a distinction between artistic and creative. I don't think that the two are at all the same thing. I find it hard to draw, paint or sculpt. My mind does not work in an artistic way way at all - rather the ideas and concepts I have in my head take a long time to nurture and develop. I have struggled with the concept of the Colour wheel and it has taken many years for me to be comfortable with how I put colours together - definitely not in an artistic way - just more in a Jemima way. 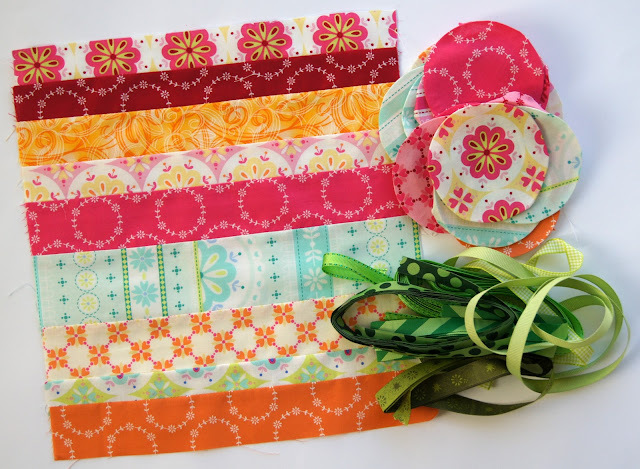 Well when I discovered Jeni's blog I was amazed at how beautifully she puts together colours and in reading it, I always find inspiration in the colours she puts together. Not only does she do this well but her Etsy Shop has also been a downfall of mine lately. These Vintage sheets are destined to become an Applique quilt that I have spied in the book The Practical Guide to Patchwork. Can't wait to start cutting them up and working with these. Every time I look at the sheets it reminds me of my childhood. There recently has been an surge in newborn babies from our friends and family. Not only is it so exciting to welcome precious new little ones into our lives with whom we are lucky enough to watch grow but of course for me that also gives me an excuse to make quilts. 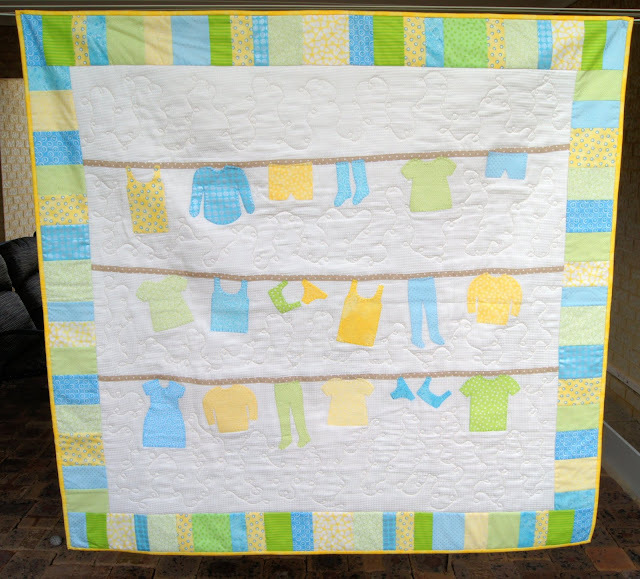 The only hard part that is although I truly treasure keeping the gender of the baby a secret - as we did with our own two - I find it harder to create unisex quilts than ones for a boy or girl when the gender is known. This one is called Wash Day and is from Trish Harper Designs. I bought this pattern a few years back after seeing it in Amitie Textiles in Melbourne and fell in love with it. 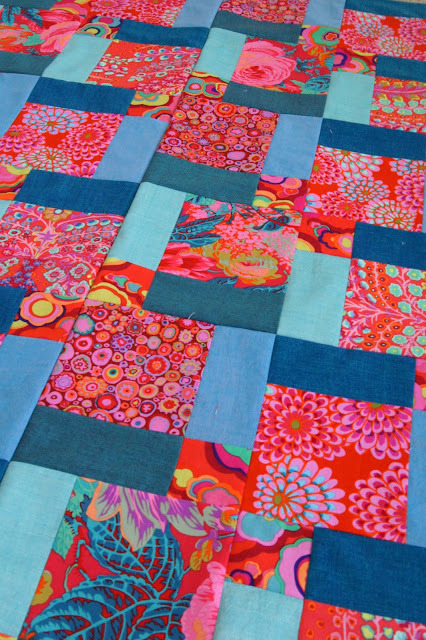 This quilt ended up going to a beautiful baby girl! Here is the next quilt that I made for my newest nephew! 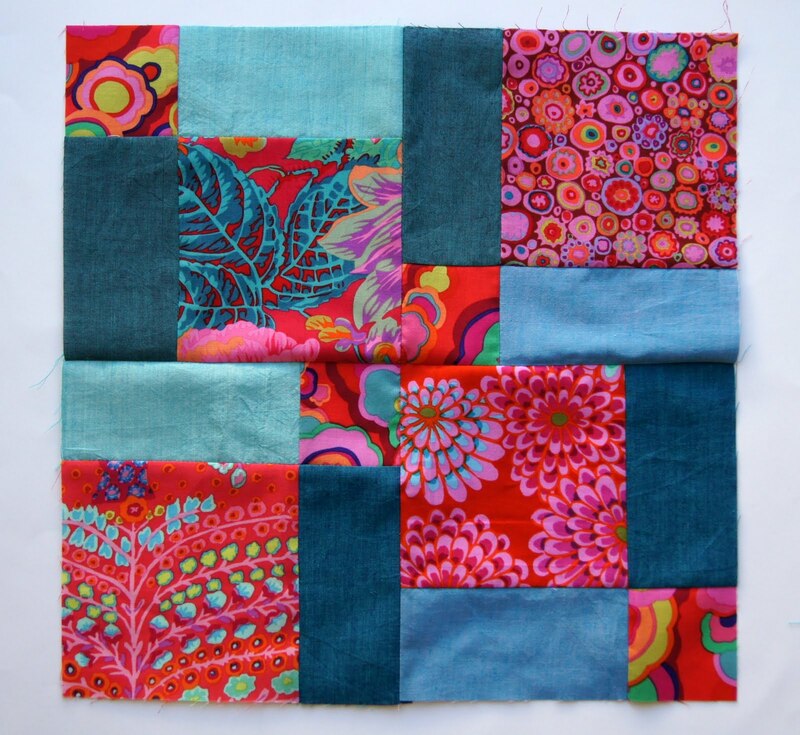 This Coin Quilt came from the Tutorial I found here. 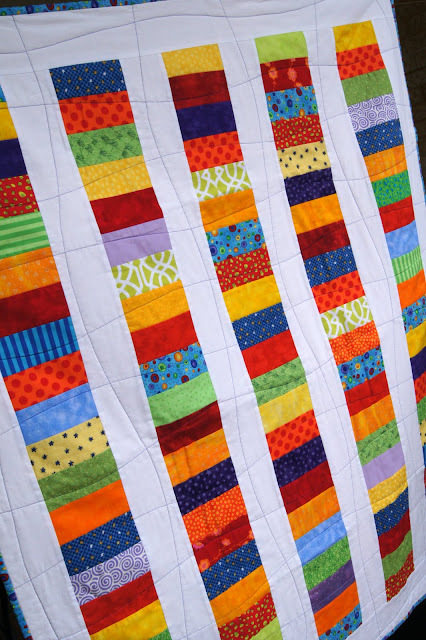 I have made quite a few Coin Quilts in the past - they are a great way to get stuck into your scrap pile and contain it a little and I also have made these for a brother and sister before so that they had they same pattern but just in different colourways. And of course new babies meant that I had to indulge in some new wool for my newest passion - Crochet. Although I am still putting together all the squares from my Squares rug, I could not help but get some of the Brown Sheep Cotton Fleece from Tangled Yarns. I love these colours! I think this week alone I have had more than 5 emails or messages about buying a Sewing Machine - so it has suddenly dawned on me that I should share all this info with you as well. I love getting emails from people asking questions about different subjects and so here is what I tell people about "Buying a Sewing Machine" - this is just in my humble opinion and from my experience. 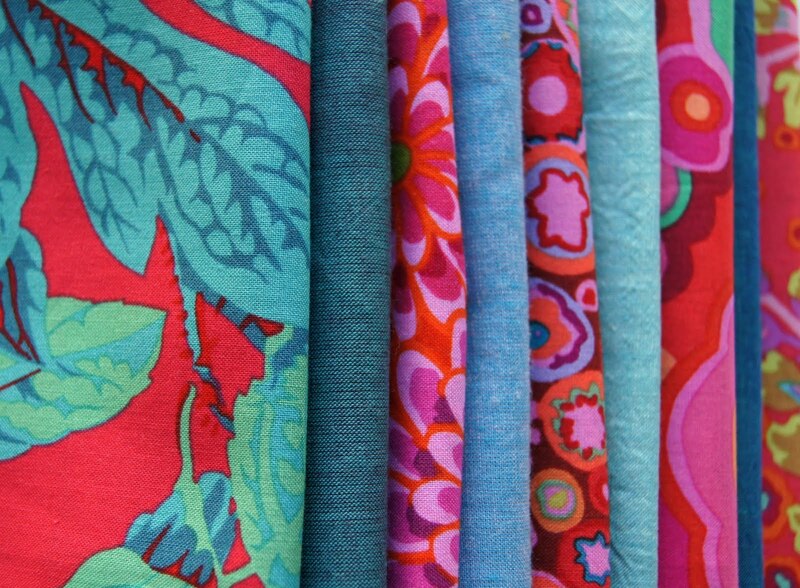 Think when you buy a sewing machine - it is likely to be a one off purchase. I have two Sewing Machines and 1 Overlocker. I have had my trusty Pfaff Tiptronic 6270 for 11 years. Considering how hard she is worked rarely has caused me any grief. I grew up using Pfaffs and this machine does have fancy stitches (although not nearly as fancy as the new ones) but at the end of the day I only straight stitch, zig zag, sew buttonholes and it also sews on buttons. I do use her for machine quilting as well but rarely touch all the fancy stitches. 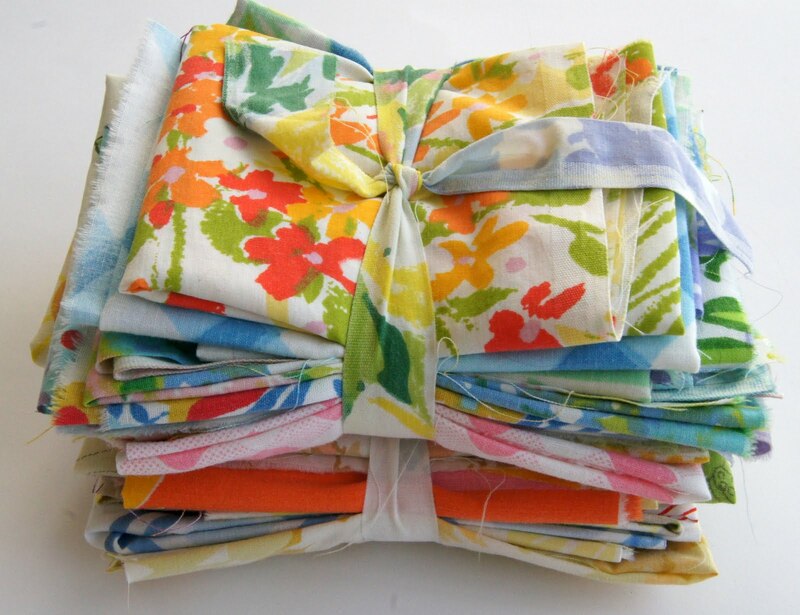 1 - What are you going to be primarily sewing with it? Machines can get very fancy but at the end of the day if you are going to only be using a small handful of the functions then do you need one with lots of bells and whistles? I believe like with all things you get what you pay for. Buy the best you can afford - this does not have to be a fortune but a machine that is reliable and easily serviced. The machines like the Brothers, available from Spotlight - are inexpensive but do have some limitations. Base, simple model Janome or Berninas, are a great place to start for their cost and reliability. I have the DC 2101 - mine was $500 as it did not come with the extras - This machine is used by my girls for sewing and is the one we use for the classes as a spare or if anyone needs to borrow one. This machine is excellent and has lots of features like speed control and easy one touch button system. 3 - Go to a local Sewing Centre and get their help! My machine came with a free lesson as well. If you look under Sewing Machines in the Yellow Pages or google Sewing Machine Centres you can easily find one local to you. You can then see a whole range of different models and machines and you can see them working. This will give you a great idea of what you like and what type of machine will be suit you.